Mild heat stress treatment (46 °C, 1 h) was chosen to help control the post-acidification caused by L. rhamnosus hsryfm 1301. When fermented milk was produced by single L. rhamnosus hsryfm 1301, the heat stress treatment reduced the post-acidification from 0.39 to 0.11% lactic acid, and the viable cells were maintained above 2.0 × 108 CFU mL−1 during 21 days of storage. 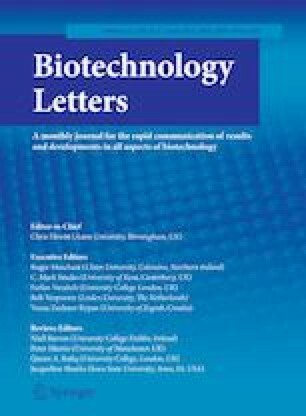 Although the post-acidification limitation of heat treatment was relatively weak in fermented milk produced by L. rhamnosus hsryfm 1301 and S. thermophilus grx02 (from 0.26 to 0.10% lactic acid), this treatment was still effective. Furthermore, no whey separation in the fermented milk was caused by the treatment. Mild heat stress treatment could limit the post-acidification caused by L. rhamnosus hsryfm 1301 by decreasing its metabolism and proliferation. This treatment is a promising strategy to improve the shelf life of probiotic fermented milk. This work was supported by the Natural Science Foundation of Jiangsu Province (CN) (BK20180910, BK20170496) and the National Natural Science Foundation of China (Nos. 31801565, 31571855).